Just hours before official launch, there are reports that Apple’s iPhone 6S will include always-on “Hey Siri” voice recognition. 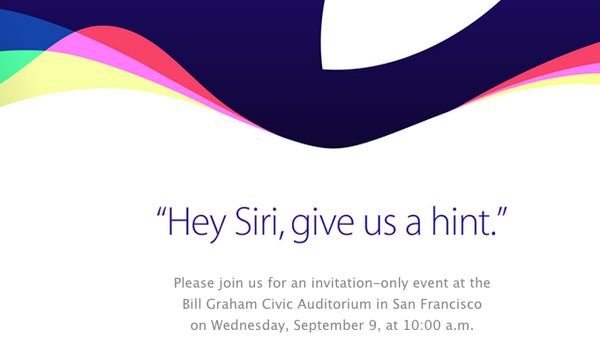 Apple send invites for the September 9 event with tag line as “Hey Siri, give us a hint” but no body knew what actually does it mean. Many of us continuously asked Siri for a hint but she didn’t leak out a word of it. So what does that invitation tag line means? According to report from AppleInsider, Apple is referring to iPhone 6S new function which is exactly the same as “Ok Google” always-on feature. Currently Android’s “Ok Google” service has alway-on feature with support in certain Android handsets. Google uses specialized voice activation monitoring chip in order to wake device from sleep without consuming battery life whatsoever. Currently none of the iOS 9 beta build versions doesn’t support “Hey Siri” functionality or we didn’t had any word from Apple regarding it in the past. We expected a major revamping in Siri functionality and the above rumors turns out to be true, that will be a major boost to Siri as Apple’s voice assistant.